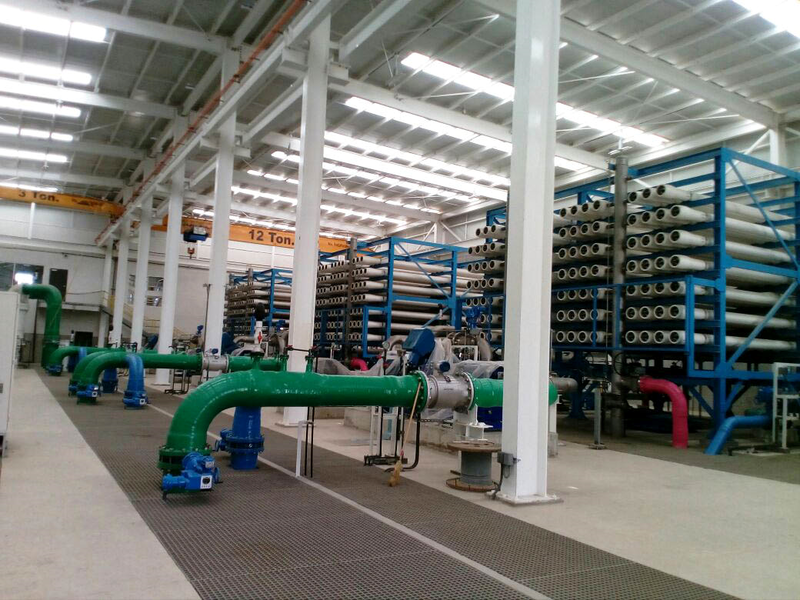 MEXICO – After months of delay, the Ensenada desalination plant in Baja California is set to begin operations in early July. The $42.9 million plant will provide 21,600 m3 of water per day to the local population. INDIA – Chennai is expected to run out of groundwater by 2020, according to Niti Aayog’s Composite Water Management Index. At the moment more than 200,000 to 300,000 m3 of groundwater is extracted—and with excessive extraction, there is considerable risk that the water will turn saline. This pressure on limited groundwater sources will be reduced as soon, as two desalination plants with a combined capacity of 550,000 m3/d have received environmental clearance. The 150,000 m3/day plant in Nemelli is awaiting clearance from the German funding agency KfW, while the 400,000 m3/day plant at Perur, funded by Japan International Cooperation Agency, is expected to be ready by 2024. The construction of two additional wastewater treatment plants at Kodungaiyur and Koyambedu should further reduce reliance on groundwater. Each plant will produce 45,000 m3/d, with planned expansions to 60,000 m3/d, with the treated effluent going to industrial users. 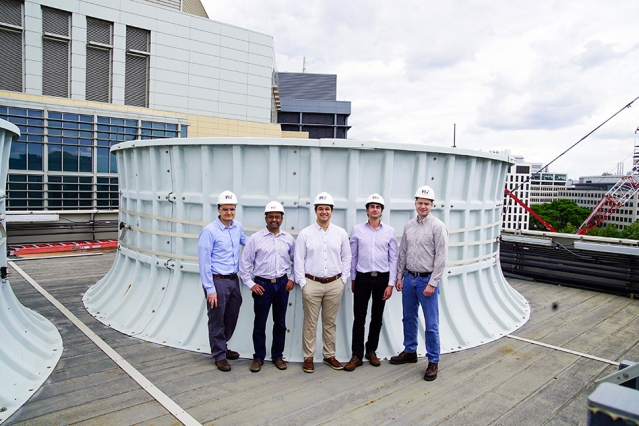 SCIENCE – A group of MIT engineers has designed a new system that they claim may provide a low-cost source of drinking water for parched cities while reducing power plant operating costs. The system efficiently captures droplets from natural fog and plumes of industrial cooling towers. The principle behind the new concept is based on electrically charging water droplets in air that is rich in fog by zapping it with ions. The charged water droplets are then drawn towards a mesh of wires, similar to a window screen, where they drain down into a collecting pan. The water that is collected may be reused in a power plant or sent to the city’s water supply system. The researchers claim that a typical 600-megawatt power plant could capture more than 550,000m3 of per year. USA – The Orange County Water District board postponed a vote on updated terms for buying water from Poseidon’s proposed desalination plant for Huntington Beach. The updated term sheet will be considered again for a vote on July 18. The new proposal would shorten the contract term to a maximum of 35 years and change how the cost of Poseidon’s water would be calculated. The company aims to finalize all required permits and contracts by next year and construct the $500 million plant by 2020. According to the water district the total cost of the project, including financing and new water distribution infrastructure, is estimated at $1 billion. “Ensenada desalination plant to start operations on July 9”, thebajapost.com, June 8, 2018. <https://www.thebajapost.com/2018/06/08/ensenada-desalination-plant-to-start-operations-on-july-9/> accessed June 19, 2018. C Shivakumar “Chennai to run out of groundwater by 2020; Rainwater harvesting and desalination plants only hope, says officials”, newindianexpress.com, June 15, 2018. <http://www.newindianexpress.com/cities/chennai/2018/jun/15/chennai-to-run-out-of-groundwater-by-2020-rainwater-harvesting-and-desalination-plants-only-hope-s-1828632.html> accessed June 18, 2018. David L. Chandler “New system recovers fresh water from power plants”, news.mit.edu, June 8, 2018. <http://news.mit.edu/2018/new-system-recovers-fresh-water-power-plants-0608> accessed June 18, 2018. Martin Wisckol “Water district delays tentative deal with Poseidon for desalination plant”, ocregister.com, June 6, 2018. <https://www.ocregister.com/2018/06/06/water-district-delays-tentative-deal-with-poseidon-for-desalination-plant/> accessed June 18, 2018.